Barry Langberg, one of the nation’s most renowned and preeminent trial lawyers, has died. He was 75 years old. He passed on Thursday, October 4, 2018, at the Santa Barbara Cottage Hospital in his home town of Santa Barbara, California following a fierce and valiant battle with cancer. In his final days, he was surrounded by his wife, his children and his extended family of close friends. Known across the globe as a ground-breaking First Amendment lawyer, Mr. Langberg battled for and won over 100 jury verdicts over the course of his prestigious nearly 50-year career. His clientele was a who’s who of the entertainment world and national and international titans of industry. The Los Angeles Times referred to Mr. Langberg as “one of the nation’s premier libel attorneys,” and The Atlantic said that Langberg “ushered in” the modern era of libel litigation with his landmark victory in the case of Carol Burnett vs. National Enquirer. Mr. Langberg enjoyed long-time membership and recognition on virtually every nationally recognized peer-reviewed list of best lawyers in America. And, he cherished the role of mentor and teacher, taking every opportunity to pass on to his younger colleagues the lessons from a lifetime of trial and life experience. More so than his remarkable legal career, Mr. Langberg will be remembered and revered for the life he led outside of the courtroom. A world traveler, Mr. Langberg visited over 50 countries with his family and friends, most times by sailboat, which was one of his life passions. Japan and Venice, Italy remained among his favorite places on earth, and one could not visit Venice, his home away from home, without experiencing the fine cuisine of his favorite restaurant in the world, Trattorio do Forni. He was born in Baltimore, MD, but lived primarily in Brooklyn, NY until the age of 5, where he developed a lifelong love for the Dodgers. While still very young, his family moved to San Francisco, which remained his home through young adulthood. 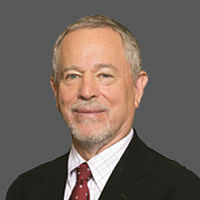 He attended the University of San Francisco as an undergraduate and later obtained his law degree from the University of San Francisco, School of Law. He worked as a beat cop and briefly as an undercover police officer in the infamous Haight-Asbury district of San Francisco. Following in his father’s footsteps, Barry also operated his own men’s tailor shop, Barry’s of Westlake – “for the man who has it made” – to help put himself through law school. Law school was the culmination of a childhood dream, as Barry always knew he wanted to be a trial lawyer even as a young boy. On more than a few occasions he skipped school to watch trials in the public courthouses of downtown San Francisco. After he graduated, he joined the public defender’s office in Los Angeles where he honed his trial skills. He stayed in Los Angeles when he moved to private practice, where he ultimately found fame as one of the country’s preeminent entertainment and First Amendment trial lawyers. It was also in Los Angeles where Barry met his dearest and most treasured friends with whom he ultimately built his life. Mr. Langberg’s politics and community involvement were inspired by the same core principles that guided his life: empathy, compassion, and simple human kindness. He was an avid student and faithful believer in psychology and its healing powers. Perhaps more than all else, Barry will be remembered for his endless drive and selfless commitment to helping his friends and loved ones, especially the young. His profound impact on the lives of so many will be one his many legacies that will endure for generations to come. In life more generally, Barry was not one to compartmentalize one role over another to achieve an end. Everything he did was subject to his non-negotiable code of honor. Whether he was competing in the courtroom or on the baseball diamond, integrity and dignity were never compromised. As a law partner, he always wanted to be the bargain to the firm and not get the better of a bargain over his partners. Mr. Langberg’s joys in life were many. He was a walking/talking encyclopedia of baseball statistics, dating all the way back to the birth of the game. He was a catcher himself, and played competitively up until his illness this year. He believed, with every fiber of his being, that baseball is the greatest game ever invented. Barry was also a competitive bowler. He found great joy in the music of James Brown and the writings of Mark Twain, John Steinbeck, and William Shakespeare. He loved oysters, stone crab, an occasional glass of Moscato wine, and cooking (claiming always to hold the world’s best recipe for chicken cacciatore). Barry Langberg lived a life of service to the people he loved. He will be missed. He is survived by his wife Becka Chester, his son Mitch (Laura) Langberg, his two daughters Elena Langberg and Marie Rousso, his two grandchildren, Brianna and Lexie Langberg, and generations of friends he considered family.